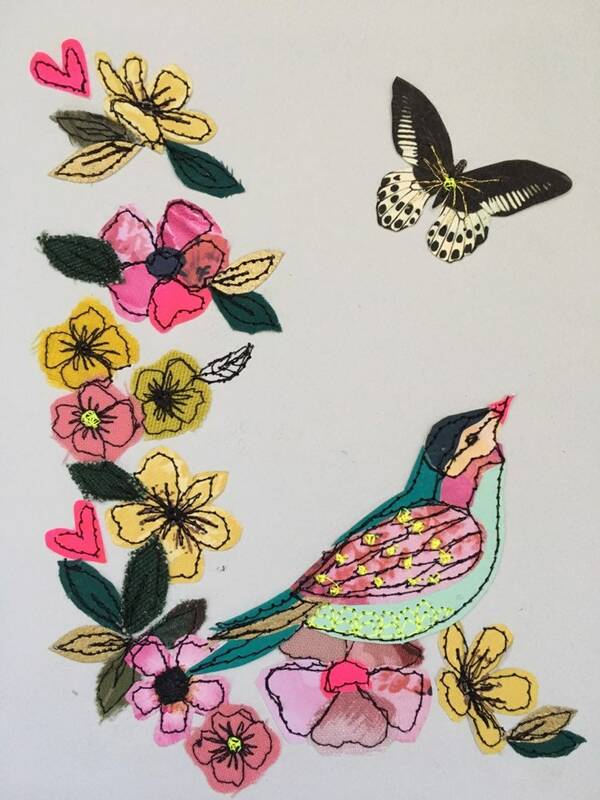 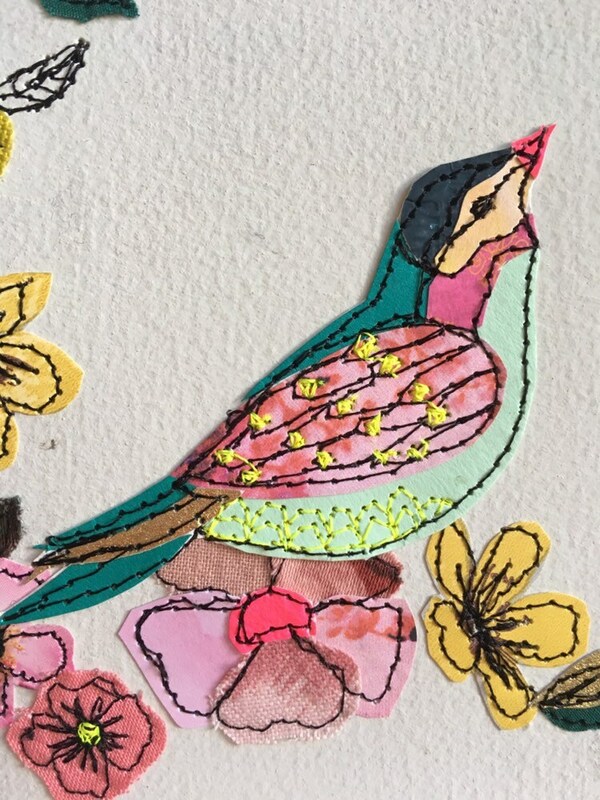 This little bird is made up of lots of tiny pieces of fabric & papers making him really colourful- liven up your wall or gift her for Mother's Day. 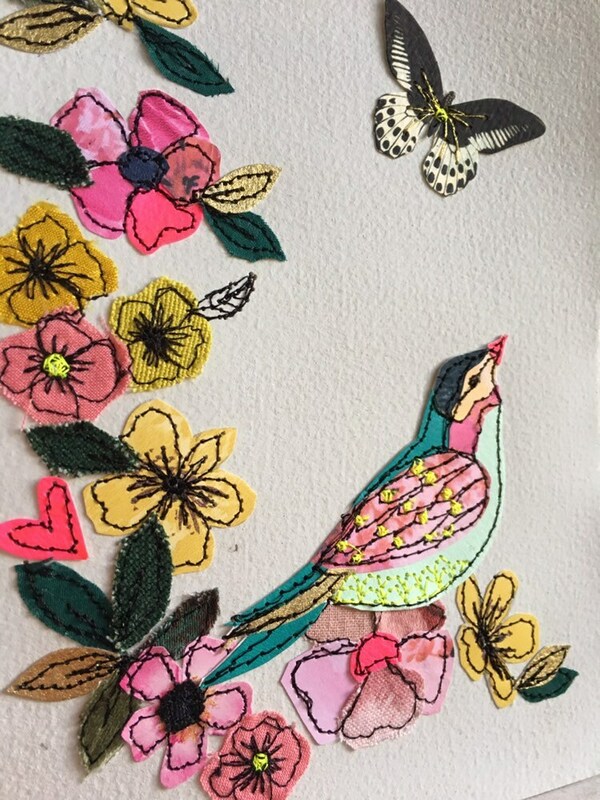 All stitched onto a painted pale grey/blue background. 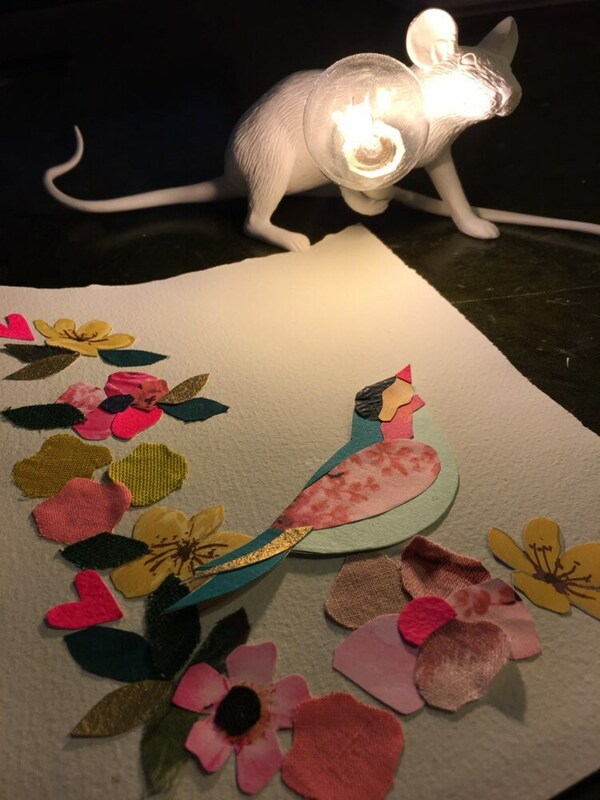 Each piece of my work is unique- I never use the same fabrics/papers, even if I make this piece again..
Lovingly and carefully created using a selection of vintage fabrics, wallpapers, printed papers, painted wallpaper and hand drawn elements.